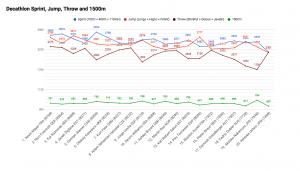 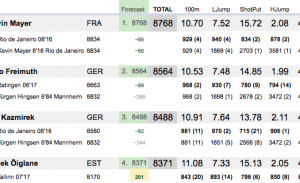 On this page you can find all the Ten7events forecast reports for Women’s Heptathlon, 2017 World Championships in London. 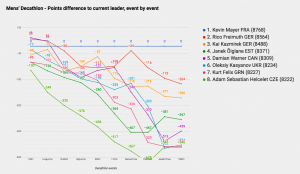 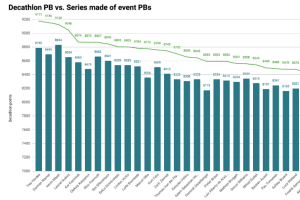 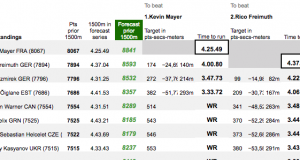 See how fast athletes need to run 800m to beat the competitors ahead of them in the overall points. 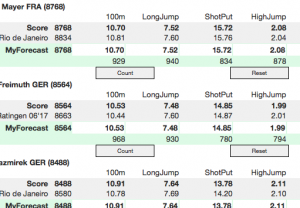 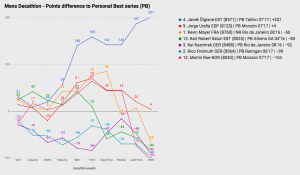 The differences are shown not only in points, but also in seconds and meters. 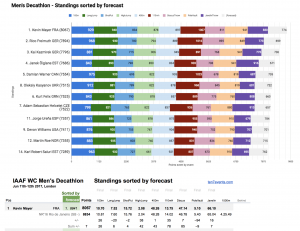 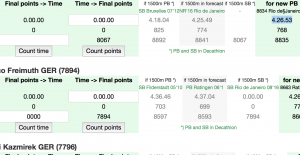 Interactive chance to speculate with the final results before the last event, 800m.